Welcome to A Taste of Being Magic Walking! What if by being the magic walking you actually are you could change everything that hasn’t seemed possible before? What is A Taste of Being Magic Walking? What if it’s actually who we are? Magic is the capacity to be present in any situation and change it simply by being, by asking questions and receiving everything that shows up – the good, bad and ugly – with no judgment or point of view. Are there parts of your life that could use a bit of fairy-dust? 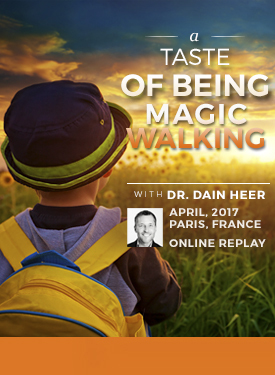 Welcome to exploring how to create magic as you walk through life!